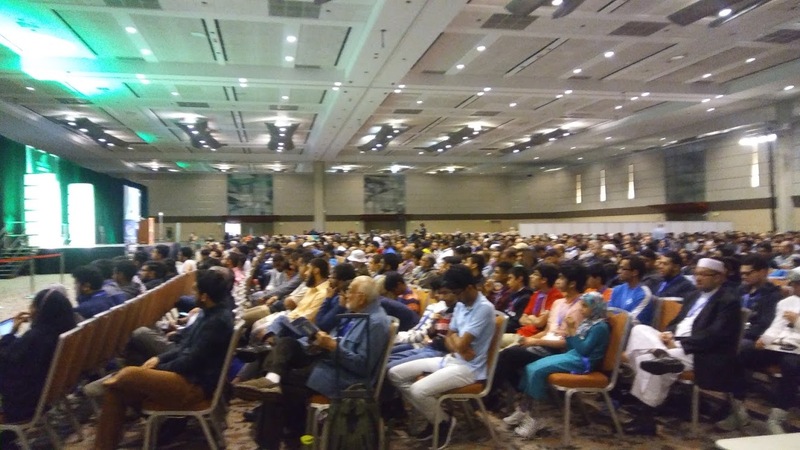 Islamic Circle of North America (ICNA) USA and Muslim American Society (MAS) organized its 42nd convention on Easter weekend (14-16 April) in Baltimore, Maryland. I attended after more than decade when it was in Hartford, Connecticut. At that time, the convention attracted under 10,000. 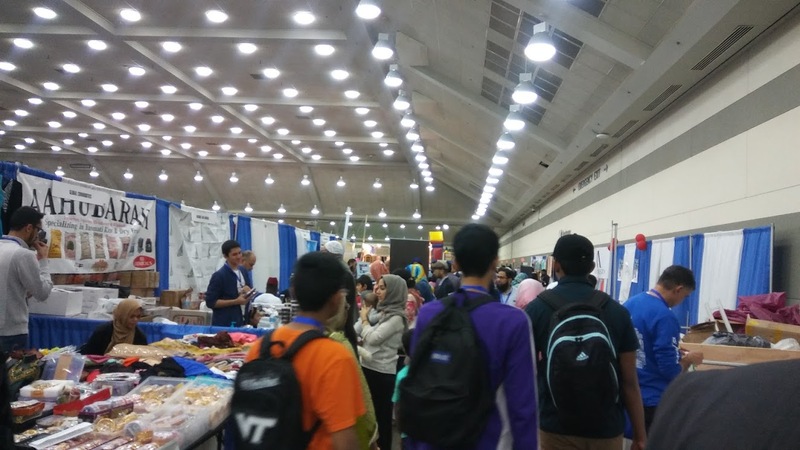 After a few years the numbers crossed 10,000, and the convention organizers changed its venue to the Convention Center, Baltimore. Now the numbers are over 20,000. The message of ICNA is also clearer and louder now. Javaid Siddiqi, newly elected Ameer (President) of ICNA, recited the Quranic verse Surah Aal e Imran, Aayah 3:104. 1. Inviting people to Islam (Why Islam and Gain Peace Projects). 2. Feeding the hungry, providing shelter, serving humanity in crisis, and supporting projects for human upliftment (ICNA Relief, Helping Hand, and Muslim Family Service projects). 3. Protecting family from hellfire [(ICNA Sisters wing, Muslim Children of North America (MUNA)], Young Muslims (YM Sisters, YM Brothers)]. 4. Educating and training (Usratul Maria for sisters, Islamic learning foundation, Online Institute, Durus of Quran, Tarbiyah programs, etc.). 5. Ending oppression and providing justice in the society (ICNA Social Justice Department). Imam Siraj Wahhaj said that Muslims often ask what is the future of Muslims and Islam in America. “Future of America depends on your decision what future you want to see, and how much you prepared to do it,” he said. Imam Wahhaj repeated it several times. 1. You are not going back to your country of origin. 2. Stay here and fight back; struggle utmost. Imam Siraj Wahhaj said we have to fight against oppression and help the oppressed people. “Yes! We are facing difficult days. But we have to stay and fight back.” Crowded and fully occupied convention center was cheering with voices of promise; Insha Allah, and Allah u Akbar. Dr. Yasir Qadhi, the noted US Islamic Scholar and Dean of Al-Maghrib Institute explained how to react and maintain patience in these troubled days and times and how to position Islam in US. The theme of the convention was divine message of Moses, Jesus, and Muhammad (peace be upon them). More than 100 topics and issues covered including women, young sisters and brothers, children, and for the people of different professional backgrounds. There were parallel sessions in Arabic, Urdu, Bangla, Indonesian, and Spanish languages. It was multi-ethnic and multi cultural crowd that includes a large number of Youth. In the Bazaar around 250 vendors were showcasing and displaying their products and services; civic, Dawah, Educational, Relief, Media, Books and Publications, Business, Financial, Gifts, Clothing, Jewelry, Art, Paintings, Frames and others. Following speakers lectured and presented different topics in more than 100 sessions (main and parallel) in three days. Dr. Kia Jahed Biomedical Engineering Researcher. Sh. Hassan Saleh, Graduate of Quran Recitations, Al-Azhar University.